Posted on January 29, 2015 by Julia	by Julia. I just ran across this wonderful post on the best way to store eggs! Pointy side up or down? The answer is pointy side down but if you’d like to know why, take a look at the incredibly informative site Fresh Eggs Daily to read more. 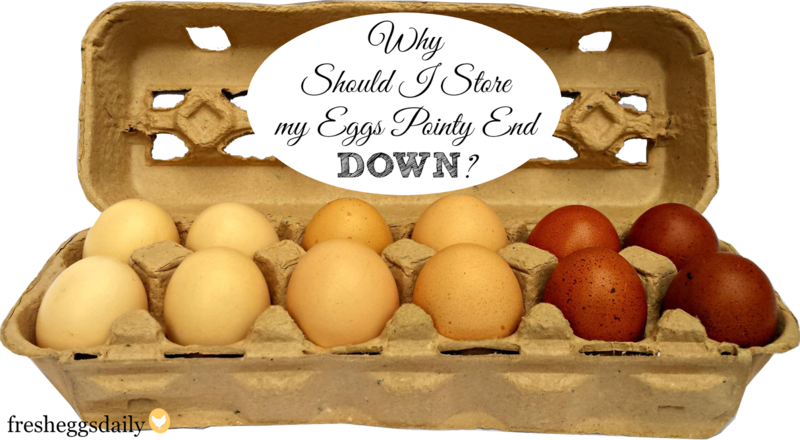 Fresh Eggs Daily®: Why Should Eggs Be Stored Pointy End Down?. Posted on July 19, 2014 by Julia	by Julia. 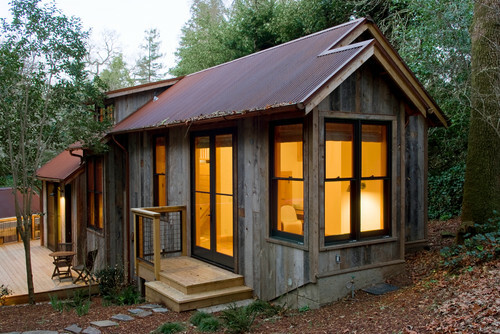 I am totally infatuated with all the beautiful smaller houses out there right now! Dotter & Solfjeld Architecture + Design have created my latest dream house. 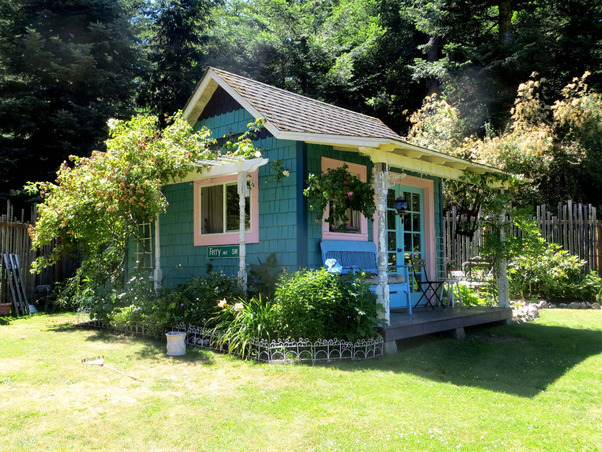 It was designed to be a guest house but I could totally see retiring in a sweet little house like this in the redwoods of Northern CA. Well done folks… well done. Posted on April 14, 2014 by Julia	by Julia. This past fall we lost our beloved Murphy and our entire household was just heartbroken. It was the first experience of loss for our children and a rough time for all of us. But yesterday… a new little love walked into our lives and while no dog could replace the love we felt for our funny little Murphster our hearts were definitely warmed up a great deal. So having said that…. 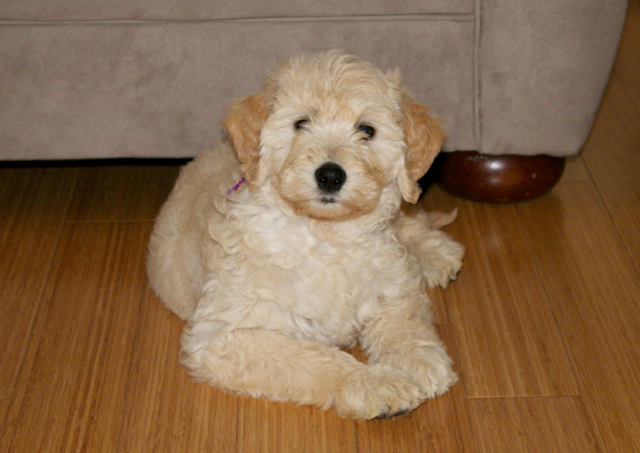 Introducing Daisy the Doodle. She is a lovely calm puppy and we are ever so grateful to Carina and her family from For God’s Glory Farm They did a wonderful job with this sweet puppy and are just great people in general. They are very into feeding their dogs the healthiest of diets, giving them lots of healthy outdoor time and socializing them. We are so grateful for how well little Daisy was taken care of. I can’t recommend them highly enough. We are so happy with this sweet girl. She’s the perfect match for our family. Let the training and love begin. Posted on April 8, 2014 by Julia	by Julia. Posted on January 24, 2014 by Julia	by Julia. I am LOVING this canning hutch from Gershwin & Gertie! They’ve got some really cute things in their shop. 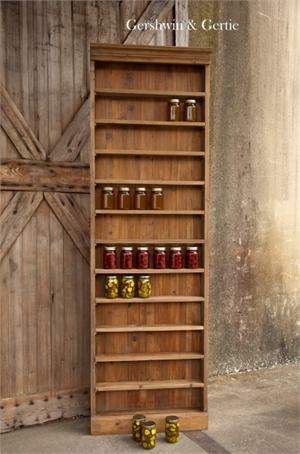 I’d probably need five of these shelves to handle all of my canned food but they are simply beautiful! Gerties Canning Hutch: Reclaimed Old Pine Wood. Posted on January 1, 2014 by Julia	by Julia. 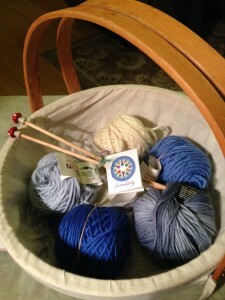 One of our Christmas gifts to our older daughter this year was a Sky Scarf Kit. Have you ever seen a sky scarf? They are just beautiful when finished. For every day of the year you knit a row or two of the color(s) of the sky for that day. One could also crochet it but our seven year old knows how to knit so we are making the knitted version. Tomorrow we will start our beautiful little project and by the end of the year we’ll have a finished project to show you. Happy New Year. Are you planning any knew projects for 2014? Posted on December 30, 2013 by Julia	by Julia. I adore this sink! I wish I could give credit for the owner of it and the photo but I found it on Pinterest and there wasn’t a link back to the source. If anybody finds who created this fantastic sink and the image please let me know so I can give them credit! 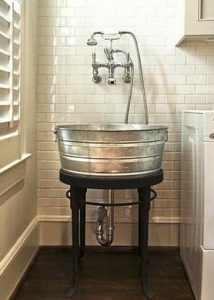 Until then… Isn’t this the coolest idea for a laundry room sink ever? It would make bathing fido a little easier on the back too! Posted on November 20, 2013 by Julia	by Julia. It’s that time of year where dreaded cold germs start invading our homes. 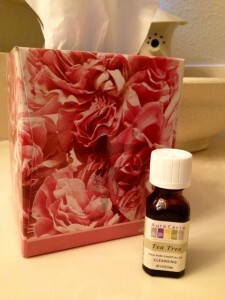 One of the things we find comforting during this time is using Tea Tree Oil to open up our sinuses. A few of the ways we like to use it is by putting several drops of it into the shower before getting in and by adding a few drops to a sink full of hot water then covering our heads with a towel over the sink and breathing in the steam. Lastly instead of buying already scented tissues how about make your own? All you need is essential oil and a tissue box. I just reach in and move the tissues to the side and put about five drops of oil on each side of the box. It doesn’t take long for the entire box of tissues to be scented. You can control the strength of the scent by adding more or less oil too. If tea tree oil isn’t your thing you can basically use any essential oil or combination of oils you like. I’ve used rose oil before and it was lovely. Here’s to a healthy winter for all! Posted on November 10, 2013 by Julia	by Julia. Just love innovative ways of purposefully using every square inch of space! What a great idea this is. 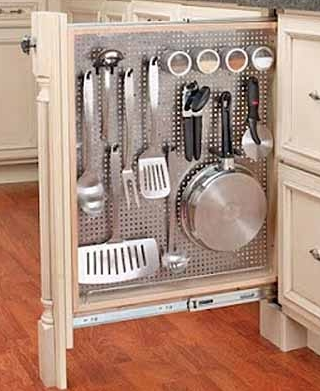 Ideas for Kitchen Storage: Great Ideas For Kitchen Storage – Vissbiz. Posted on October 29, 2013 by Julia	by Julia. A thing of beauty. It seems as thought everything that Alastair Heseltine touches turns into a work of art. 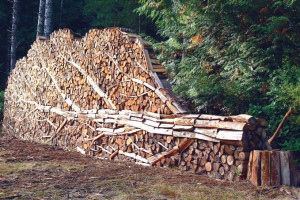 I wonder how long it took him to stack his wood in such a beautiful way?